It kills more people than prostate and breast cancer, but six out of ten Australians have never heard of sepsis. The findings released by The George Institute for Global Health on World Sepsis Day (Sept 13) have prompted calls for a national public awareness campaign. Sepsis, the life-threatening condition that arises when the body’s response to an infection damages its own tissues and organs, affects more than 30,000 Australians every year. But, according to a Galaxy poll very few Australians know the key warning signs including fever and high heart rate. Professor Simon Finfer, of The George Institute for Global Health, said it was time sepsis was put at the top of the health agenda, both in Australia and globally where it kills up to 5.3 million people each year. Professor Finfer revealed around 80 percent of cases began in the community and that even healthy adults and children can develop sepsis from an infection. “We see people arrive at hospital who are severely ill but thought they just had a bout of the ‘flu. Early treatment saves lives but in many cases it can be too late to save them,” Prof Finfer added. Only 34 percent of men and 46 percent of women have heard of sepsis. When asked about the causes of sepsis, one in four (25 percent) mentioned infection or bacterial infection, 2 percent bacteria, 1 percent contamination of a wound, 1 percent germs/toxins and 1 percent an immune response. Just 4 percent were aware that the proportion of people diagnosed with sepsis who will die from it is around 1 in 3, while 6 percent think the proportion is higher, 33 percent lower and 58 percent say they don’t know. When it comes to the main symptoms, just 14 percent knew they included fever/chills/sweating, 3 percent rapid heart rate, 2 percent rapid breathing, 1 percent confusion/delirium and 1 percent organ failure. Professor Finfer, who heads the Australian Sepsis Network (ASN), says there was a need for a national awareness campaign to increase public recognition of sepsis and to speed recognition and treatment of sepsis by healthcare workers. Professor Finfer said: “We know that every hour’s delay in administering antibiotics increases the risk of death by eight percent. Prof Finfer added that an early intervention program in NSW Hospital Emergency Departments, called Sepsis Kills, was proving successful but needed to be rolled out across all healthcare sectors across the entire country. The development of a national co-ordinated approach to treatment through the development and dissemination of guidelines and clinical practice standards. Sepsis survivor Korina Valentine, who underwent a quadruple amputation last year and spent 10 months in hospital recovering, has backed calls for a public awareness campaign. The 29-year-old mother of two from NSW said: “I still have no idea how I contracted sepsis. I thought I just had the flu. What we have been through as a family has been incredibly traumatic and I don’t want to see any other family suffer unnecessarily. 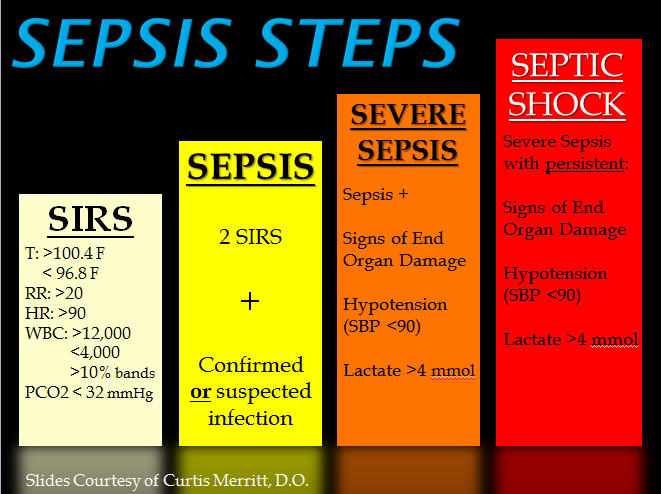 Anyone worried about sepsis can check the signs. Seek immediate medical treatment if worried. Read the full World Sepsis Day survey report (PDF 325KB).